Wholegrain cereal clusters with maple syrup and pecan nuts. 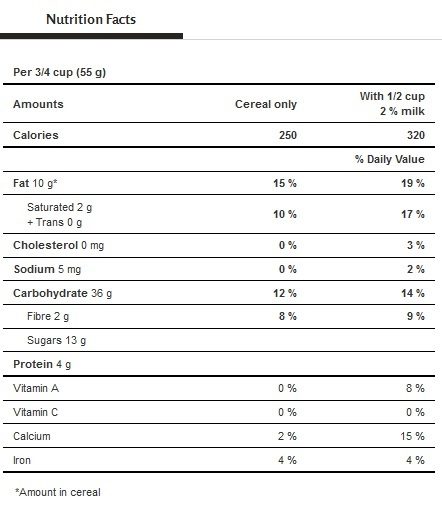 Ingredients: Whole grain oat flakes, raw cane sugar, vegetable oil (canola, palm), rice flour, whole grain barley flakes, pecan nuts, maple syrup, whole rade oat flour, freeze dried apricot, desiccated cooconut, natural apricot, dessicated coconut, natural apricot flavour, roasted hazelnuts . 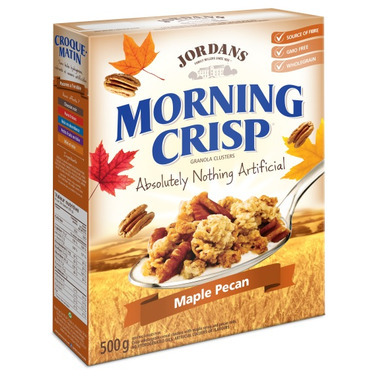 Delicious cereal lots of nuts and great maple flavor!